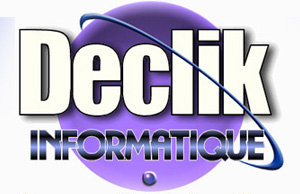 Many people know us for the field of computer science but Declik is also the realization and printing of poster. Indeed we realize many posters, flyer, announce, business card, banderolle, set of table, restaurant card etc ..
From my personal experience and my studies I learned a lot of marketing technique that can help you in your prospecting process. For any questions contact us at 05 53 63 93 71/06 17 08 19 84 and ask for David.